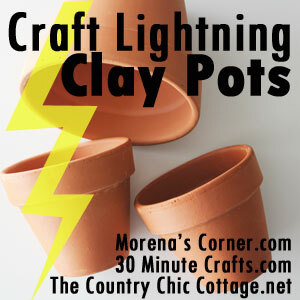 Angie from Country Chic Cottage Carolina from 30 minute Crafts Moerena from Morena's Corner feature over 40 Clay Pot ideas you can make in a few minutes. Take a large piece of gravel and hot glue to cover the drain hole at the bottom of the clay pot. Paint the pots with as many coats of paint you chose. I used 3 thin coats. repeating as soon as the last pot was finished with one coat I began with the second layer on the first pot. 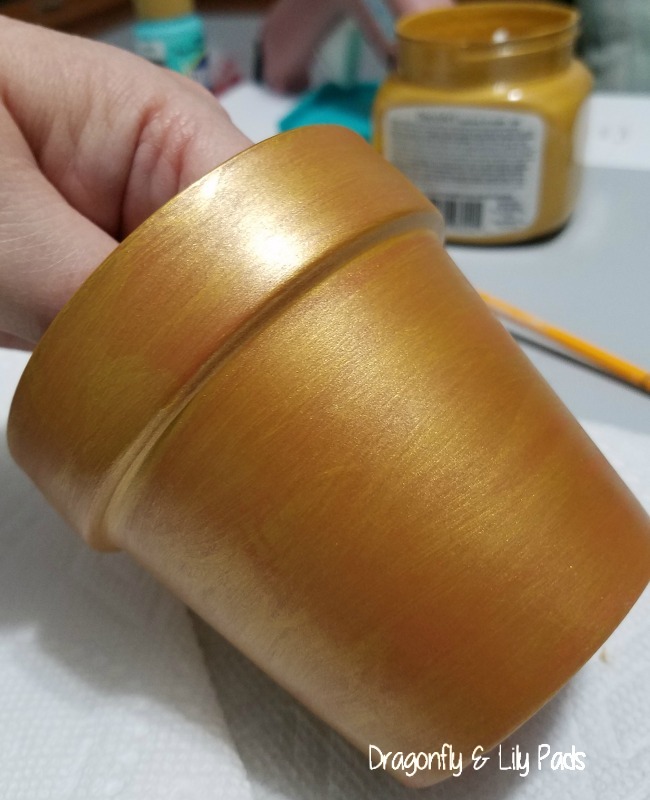 This is an easy way to hold the pot while painting. you do not need to paint the bottom or the inside. 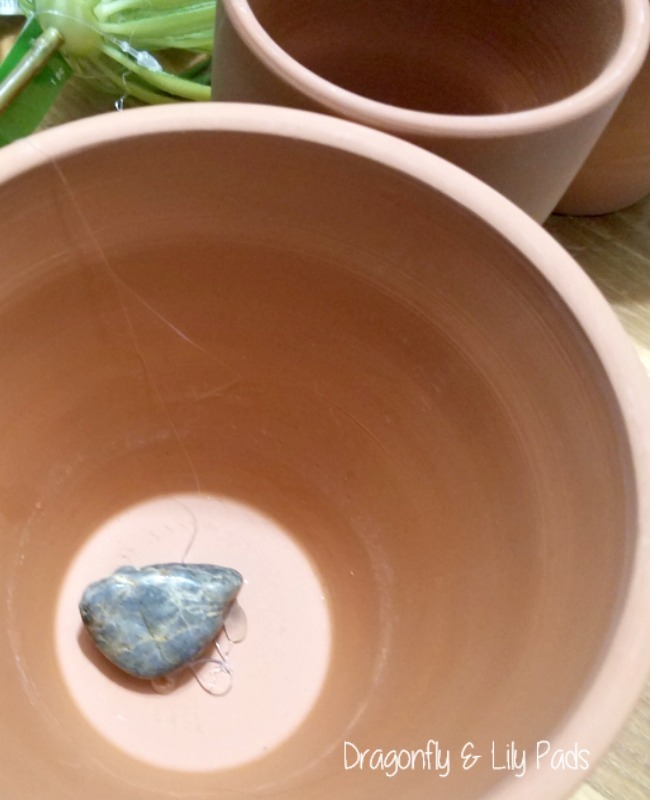 Lay more large rocks in the pot for weight. 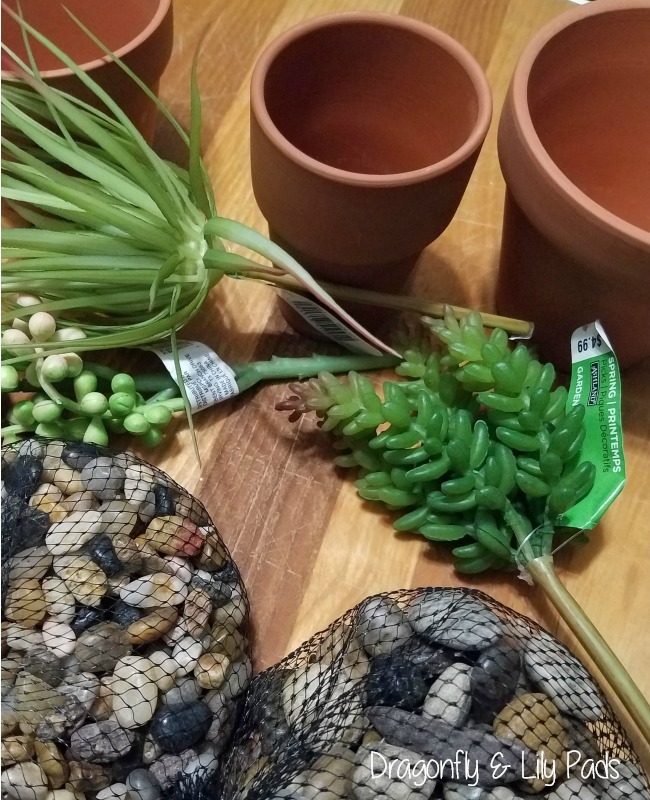 Hot Glue the succulent plant in the rocks once you test fit them. Use wire cutters to shorten the stem after you determine the length you need. Then add smaller stones as you glue with hot glue gun to set the stones. 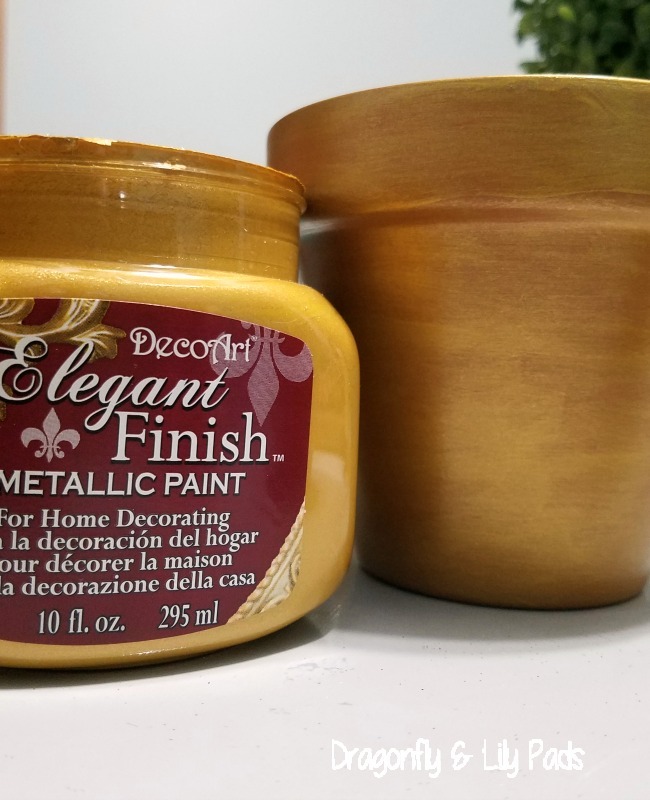 While making these glamorous clay pots my mind has been on a roll of uses for these sweet decor items. 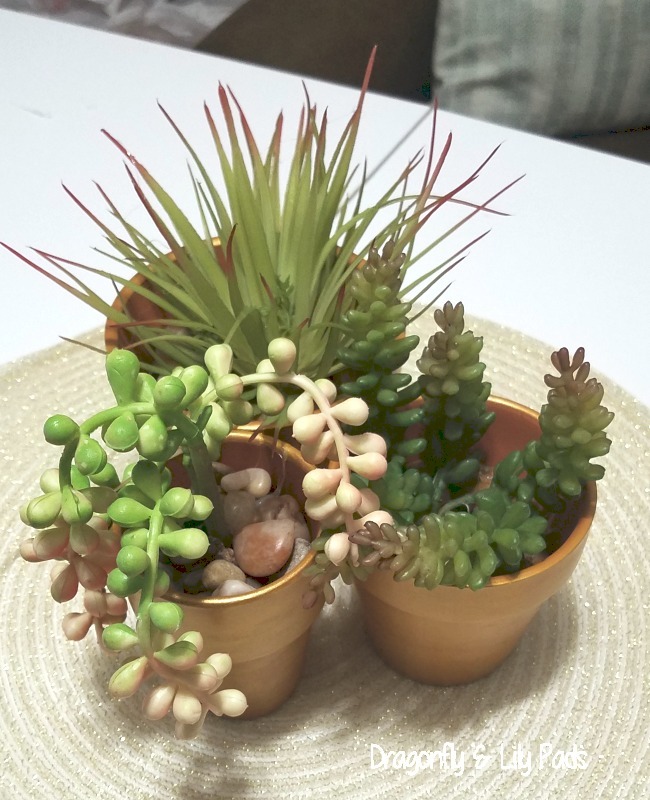 One easy change you could make is real succulents. These could make darling, shower favors or teacher gifts, get well wishes, or brighten a spot in your home. We are hosting Easter dinner this year. I am betting these will make an appearance on the tables. Where would you use clay pots in your decor? Please leave a comment to share your ideas. I would love to see where your creativity leads you from this post. Pin this easy, quick project on your Pinterest Boards with this image. 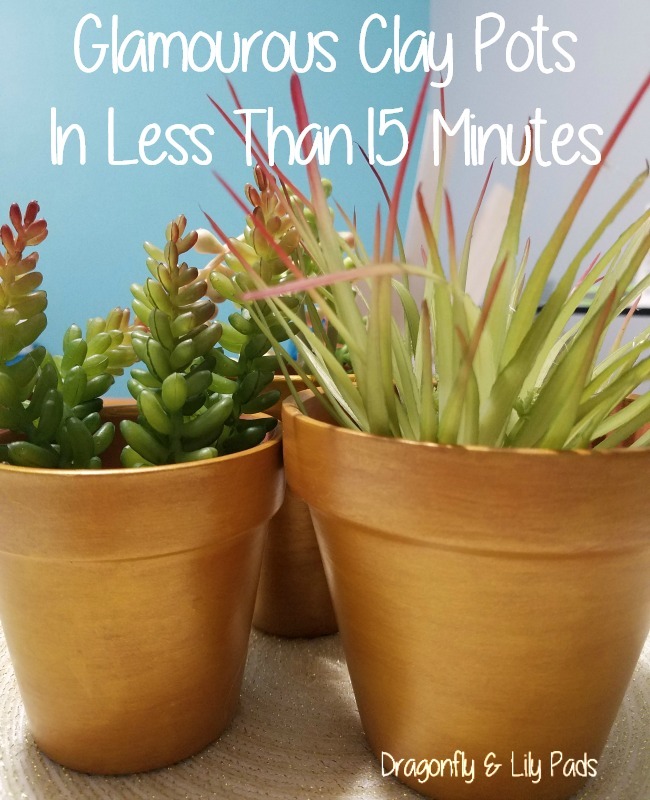 Click on the picture below to visit the other makers projects which take 15 minutes or less. Please keep coming back all week to enjoy more than 40 ideas. So cute Karen! Thanks for joining!